Gold Basin Mining District has a long and colorful history. Starting back around 1861 the road now called Pearce Ferry Road was the trail that took the old timers down to the Colorado River. The River separated Arizona and Nevada. The Ferry was the only way for travelers to cross. Outlaws, Indians, cowboys and settlers heading to California were all part of the local landscape. This is the area where D’artagnon Jackson found an amazing find with his Gold Monster 1000 on January 22, 2019. 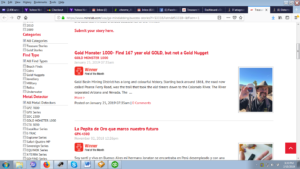 “Dar” had purchased his Gold Monster 1000 from Doc at Doc’s Detecting in Henderson Nevada almost one year ago in January of 2018. 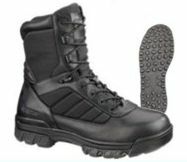 Doc had taken him to Gold Basin for a day of one on one training. Dar lives in the state of Washington, and only gets to Gold Basin twice a year. He joins his brother, J.R. from Utah and they travel to Gold Basin to detect. Dar has been looking for elusive gold nuggets for 15 years with no success. He has owned every low end $200 detector on the market, with no success. 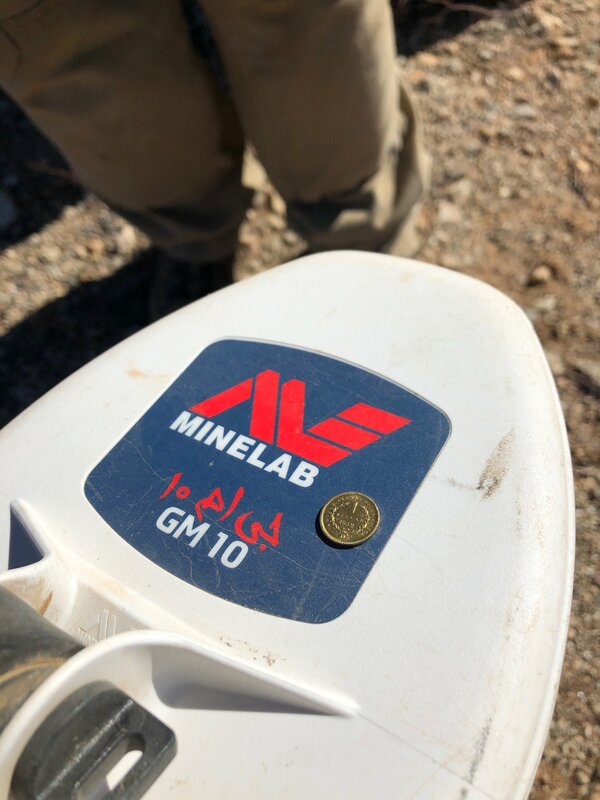 However, armed with his Minelab Gold Monster, all of that was about to change. As he was detecting, looking for meteorites , and of course his first gold nugget, if he could be so lucky, he stumbled upon a good target. At three inches he uncovered a pull-tab. Somewhat disappointed, he said, “I remembered what Doc had taught me. Always check your hole before you fill it back in, there might be another target.” Somewhat reluctantly Dar swung the 5 X 10 coil of his Gold Monster over the shallow hole. He got a good target sound, and it was registering as non-ferrous, however the pull tab also had registered as non-ferrous. At 8 inches, Dar saw a glint of gold. 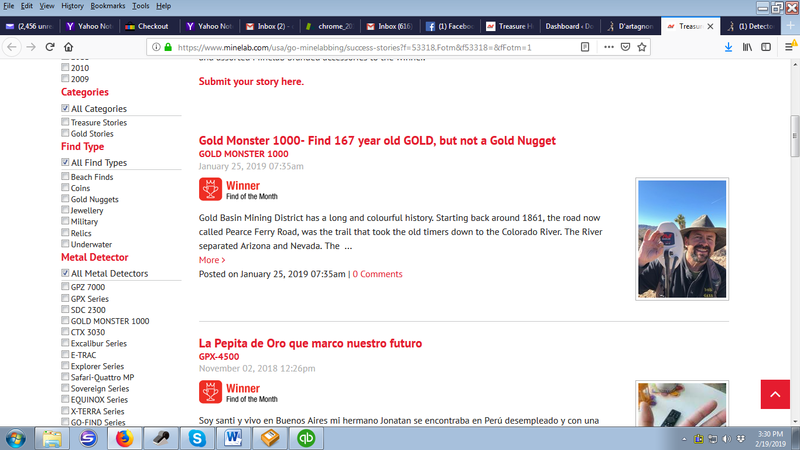 Could this be his very first nugget after 15 years? NO! It was something much more impressive that spoke to the unique history of this Gold Basin area. It was an 1852 U.S. Gold dollar with a “D” mint mark. The coin was in amazing condition considering it was 167 years old. Needless to say, Dar, can’t believe that he found such a unique treasure, let alone, it was the very first piece of gold he has ever found. Later, after getting back to a computer, Dar found out just how special this coin is. There are only 125, 1852 mint mark “D” $1 gold pieces known to exist today. Valued at around $900 to $1,400 depending on condition and this one looks pretty good. Gold Fever? Yes, Dar has a really bad case of it now. 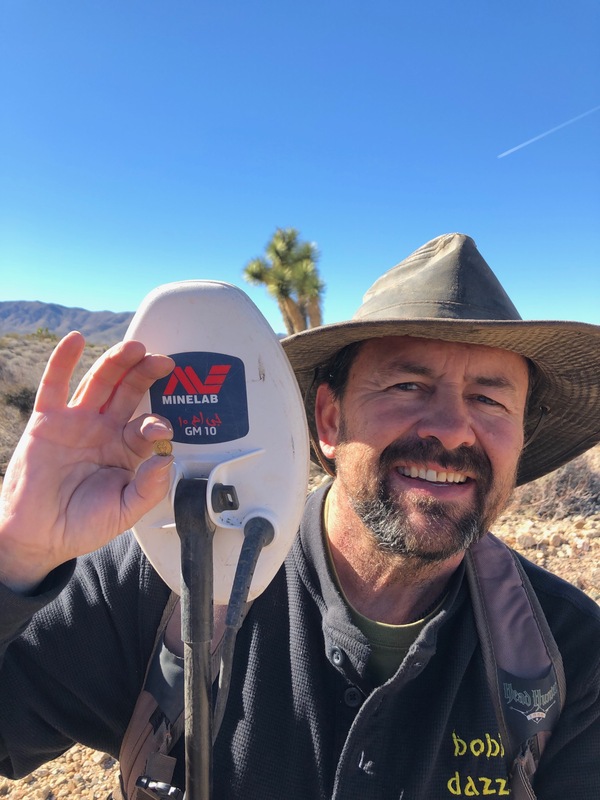 UPDATE: D’artagnon, wins Minelab’s January 2019 Find of the Month contest. 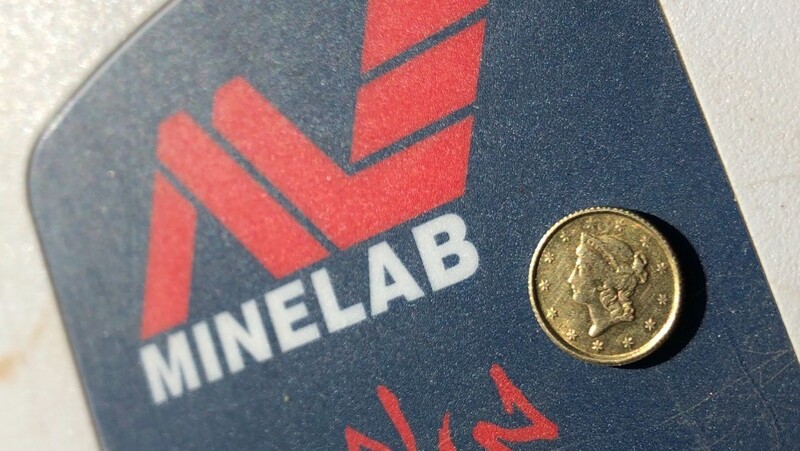 Yes this was a great find especially with Doc helping me over the years and a great metal detector from Minelab®. 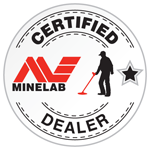 Can’t wait for my next Minelab® detector and adventure.